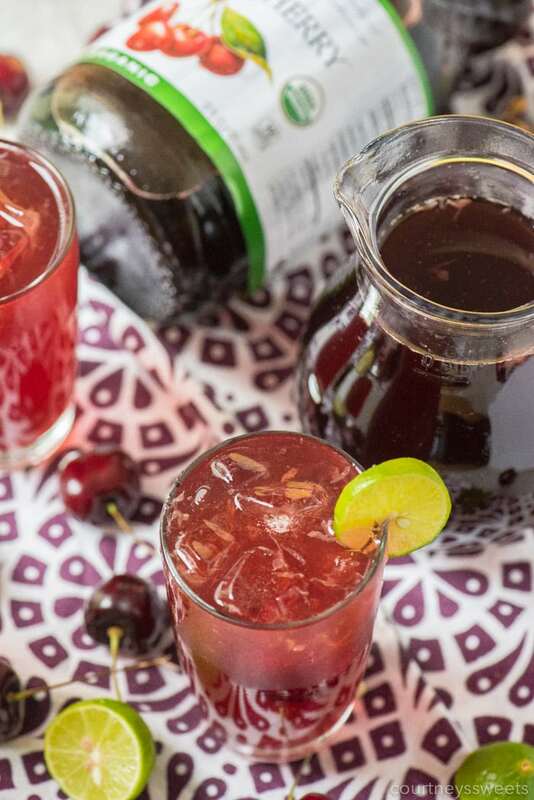 Cherry Limeade makes for the ultimate refreshing drink recipe. 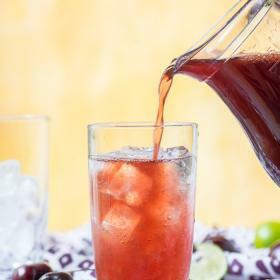 Learn how to make cherry limeade so that you’ll have a fresh sparkling cherry limeade each time! 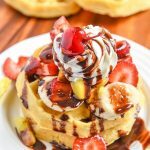 My family loves a good sweet drink, add a little fizz and now the party goes wild! We always serve non-alcoholic beverages at our parties. 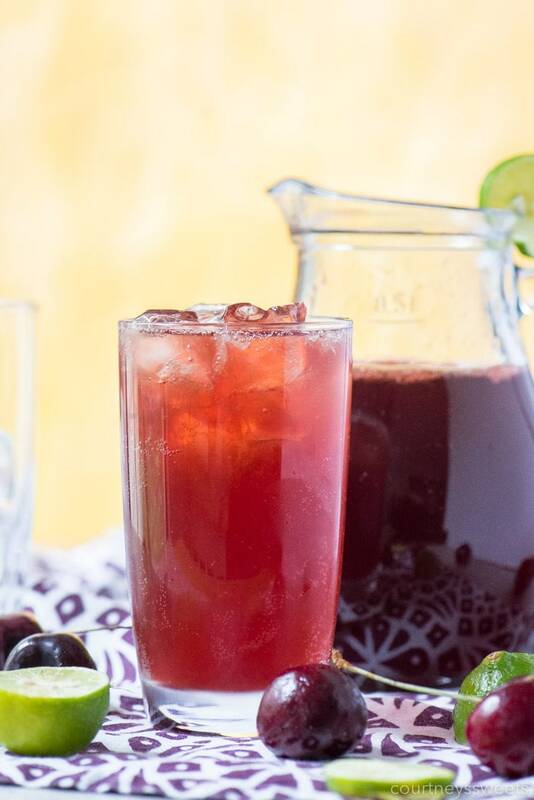 Our Cherry Limeade Recipe is perfect for adults and children! What makes it even better is the way we make it. 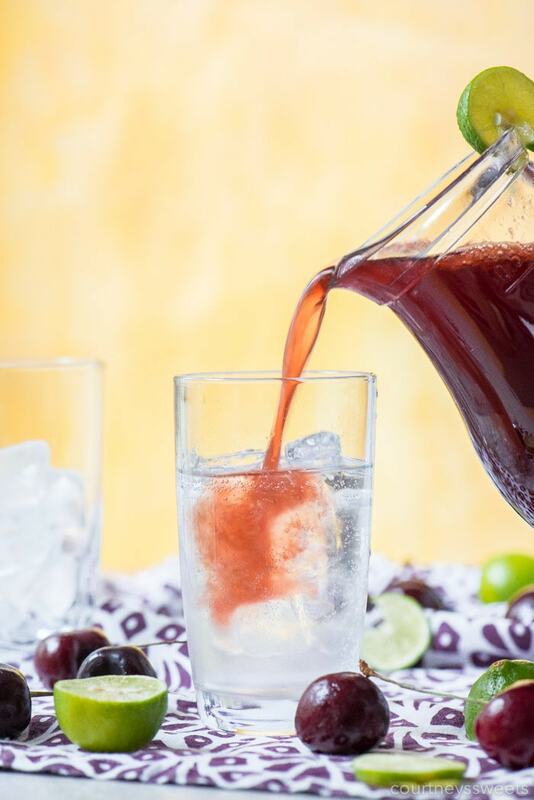 I make a small concentrated amount so that when you add to your sparkling water it’s bubbly and fresh! Don’t want the fizz? 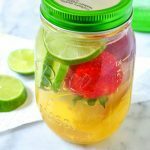 Well, you can add the cherry limeade mixture to water or even pour it over shaved ice! 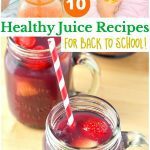 For the cherry juice, I used Organic Just Tart Cherry® Juice from R.W. Knudsen. I bought the 32 oz bottle right at my local Target. 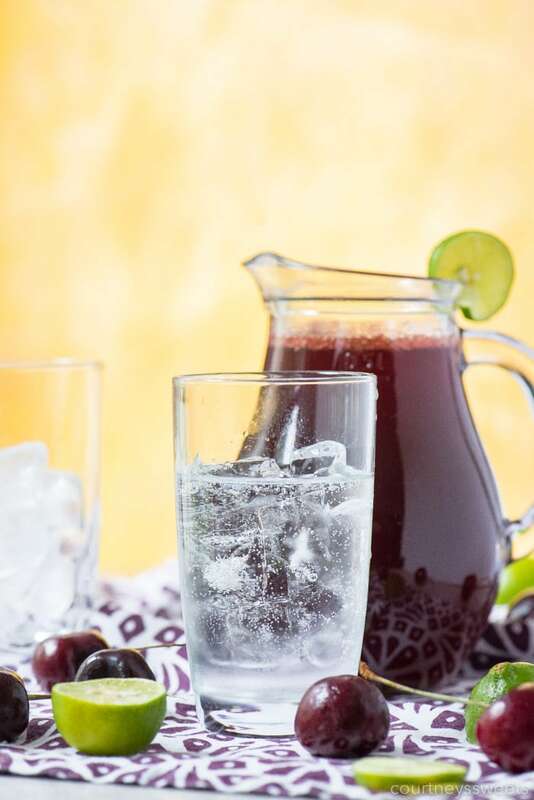 I also bought a Just Cranberry® Juice in the same size which goes really well with lemon to make Cranberry Lemonade! While I was there I also went to the produce section as we were running low on limes. I always have tons of lemons and limes in the house. Save 25% off any R.W. 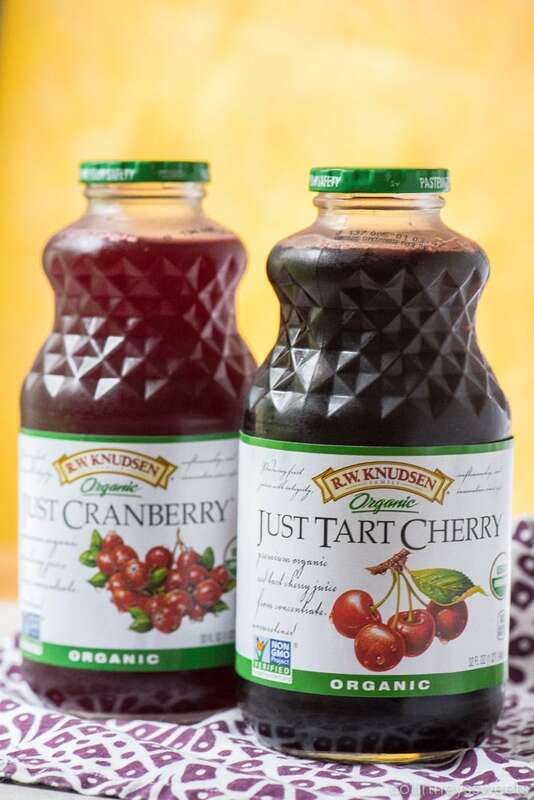 Knudsen Juice with Cartwheel from 8/5-9/1 in the offer linked here. 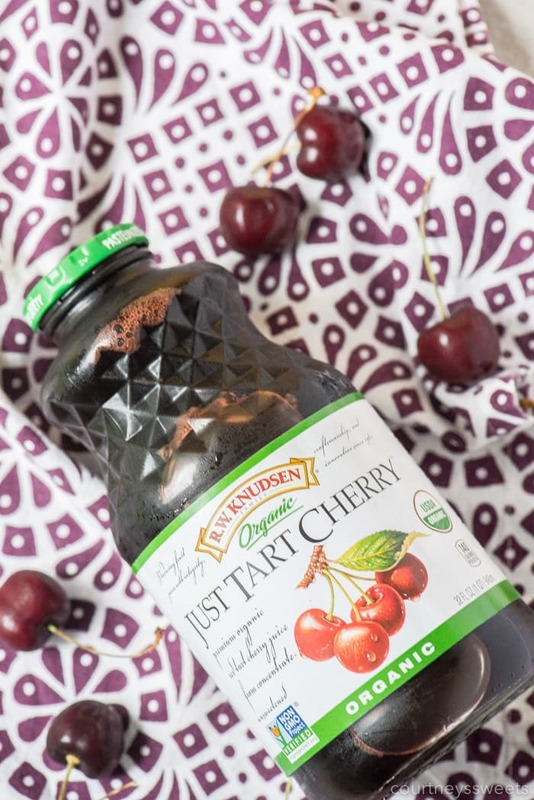 So why buy cherry juice instead of making it? Aside from being super simple to just open and pour, we actually love and purchase the R.W. Knudsen Family Single Fruit Juices regularly. It’s not easy to find organic cherries either, I know that this is a quality product. Their Concord is another favorite of ours. 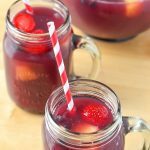 They’re full of flavor, 100% juice and undiluted, making it perfect for Cherry Limeade or Cranberry Lemonade OR even enjoy it on its own. 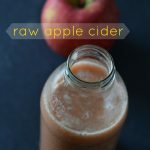 Yup, you don’t have to mix these delicious juices and can enjoy as is. I always have them in the fridge for when we want something aside from water. You can dilute a little if it’s too strong. My father in law actually got me into the cherry juice after his doctor recommended he start drinking it for his arthritis. 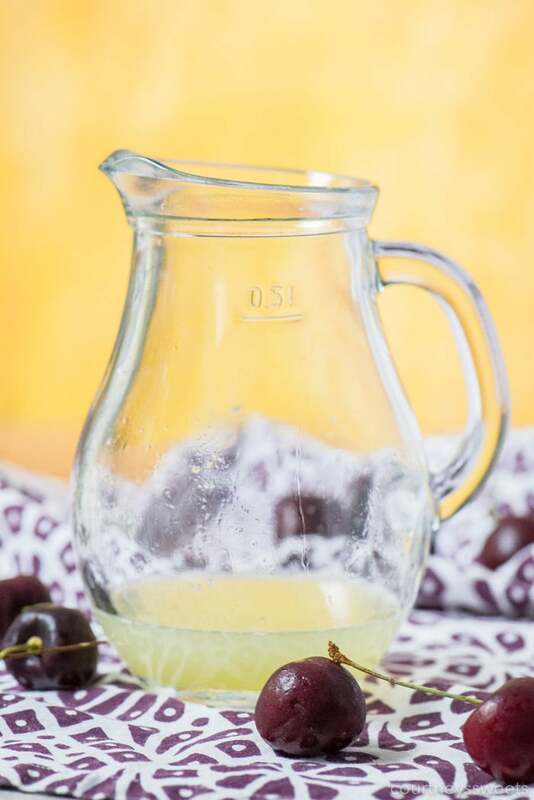 Cherries are an excellent choice for inflammatory conditions, they’re loaded with antioxidants. 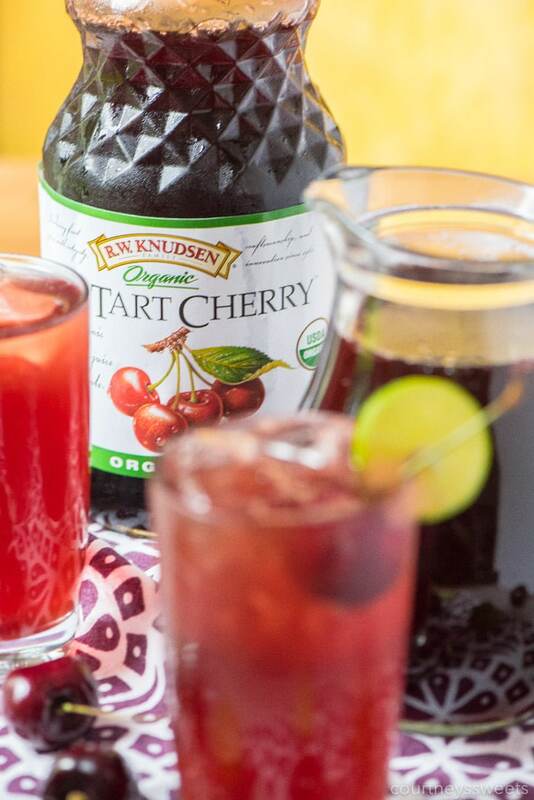 We’ve always chosen Organic Just Tart Cherry® Juice from R.W. Knudsen. 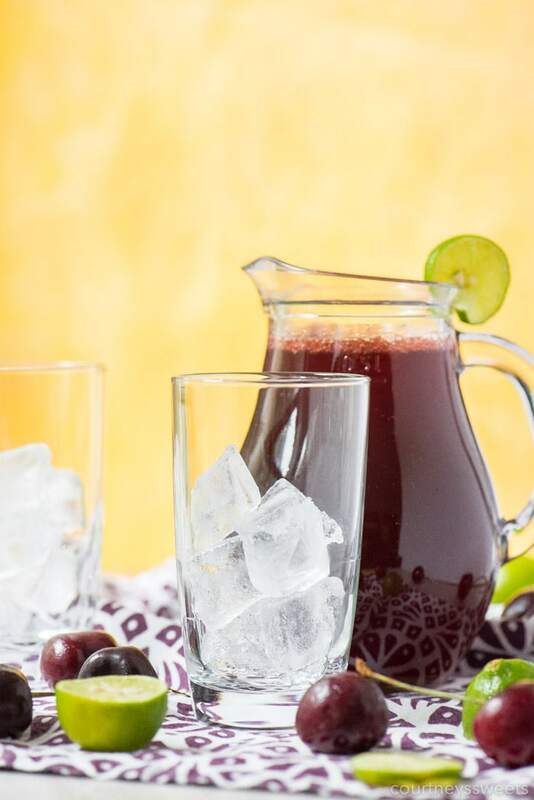 It tastes like I made the cherry juice myself, it’s that fresh and delicious! Not to mention they know a thing or two since they’ve been bottling organic juices since 1961! All Non-GMO Project Verified, USDA Organic, without any artificial flavors or preservatives, just all natural ingredients. We love that it’s unsweetened so we can control the amount of sweetness added. 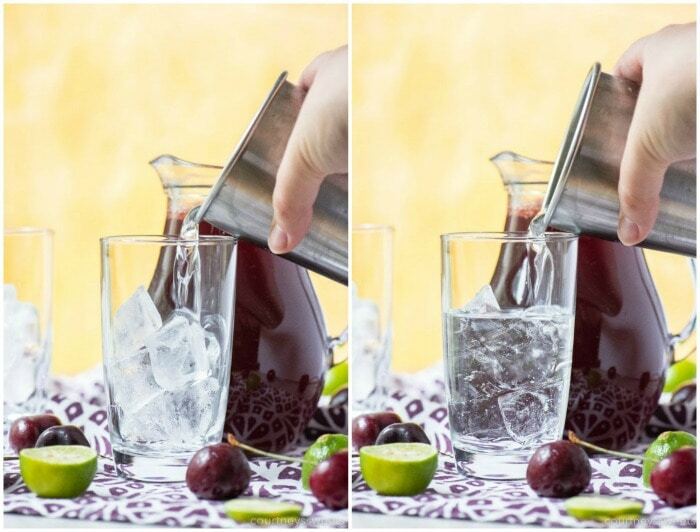 My husband loves when I make the little pitcher with this Cherry Limeade Recipe. When he gets home he can just pour a little into his sparkling water and enjoy after a long day on the patio. 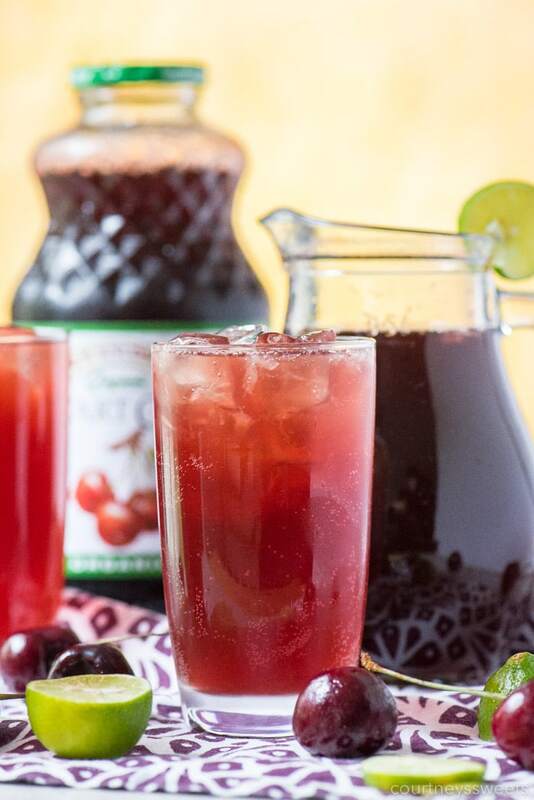 On the weekends we invite family over to enjoy some good BBQ cooking and a cold glass of Cherry Limeade! Juice 4-6 limes, you’ll want to have about 1/2 cup. Next comes the Cherry Juice, which will make up the bulk of the concentrate at 1 1/2 cups. Now you’ll want to choose your sweetener and add about 1/4-1/2 cup depending on how sweet you like it. Once you’ve picked the sugar out get that ready and pour into the pitcher with the juices. Top off with a little water to fill the pitcher if needed, keep in mind we’re using a mini pitcher with about 2 1/2 cups or 18 ounces. And then finishing it up with the Cherry Limeade mixture. 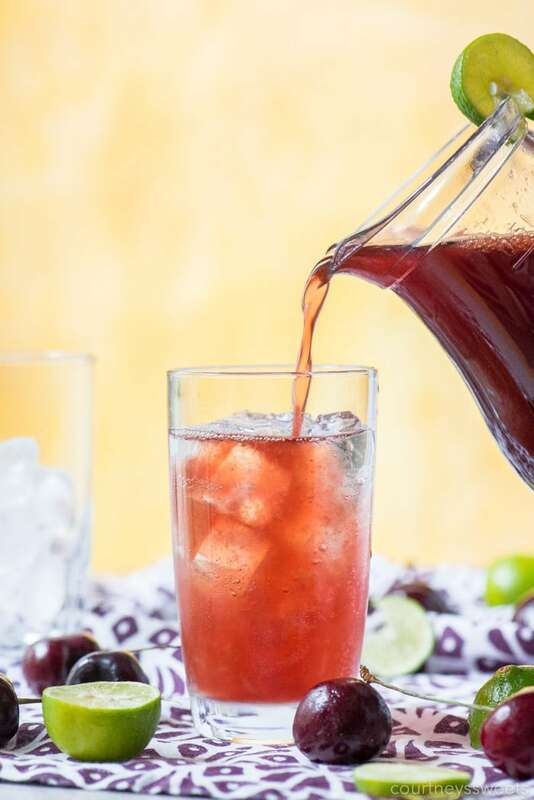 Cherry Limeade makes for the ultimate refreshing drink recipe. 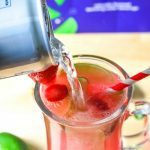 Learn how to make cherry limeade so that you'll have a fresh sparkling cherry limeade each time! 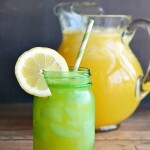 In a small pitcher (we use 2 1/2 cup pitcher) combine lime juice, cherry juice, and choice of sweetener. 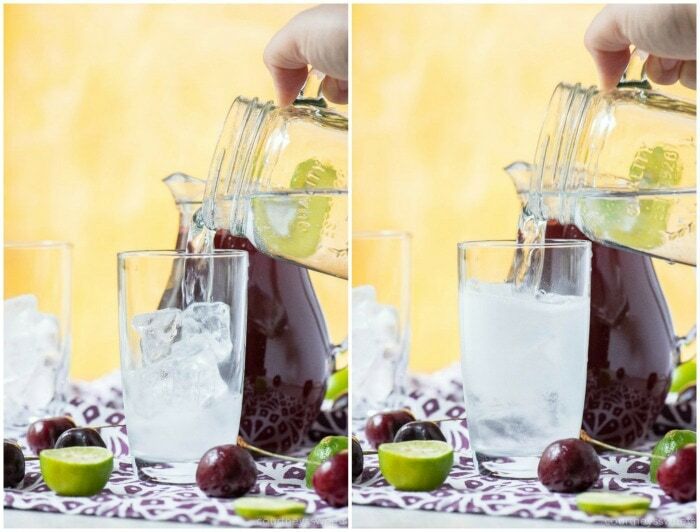 To serve, pour your choice of water or sparkling water over ice about 1/2-3/4 of the way full. Finish off with cherry limeade mixture. 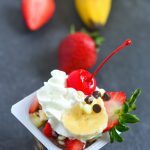 Garnish with a fresh cherry and slice of a key lime.